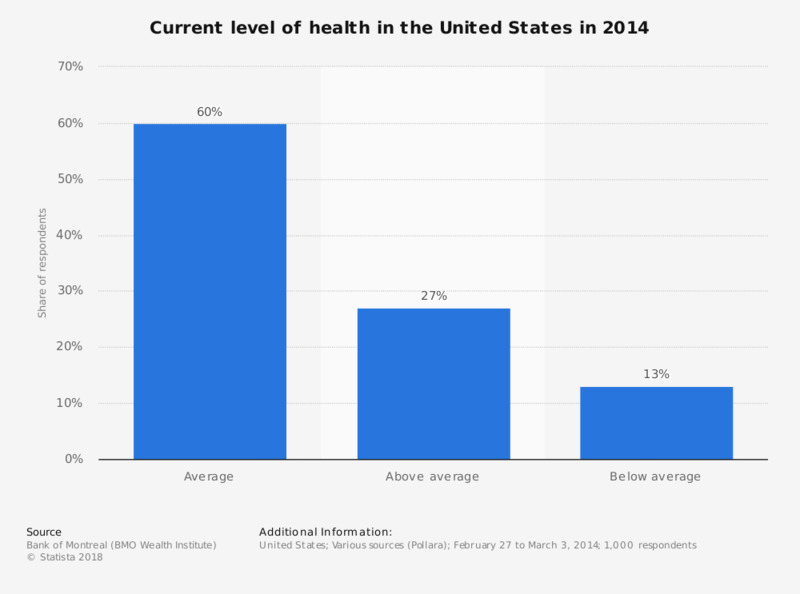 The survey presents the current level of health in the United States as of 2014. It was found that 60 percent of the respondents claimed to be of average health. The source does not provide the exact age of respondents.